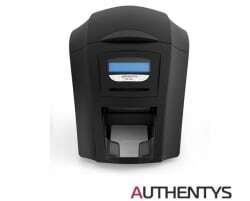 Authentys plus SmartCard printer - with watermark technology! A card printer is used for printing and personalizing plastic cards. The design of the cards to be printed can be determined in advance with the help of a software. Just as with a normal printer, only empty cards are inserted into the card printer and the cards can be printed. Such a card printer is used in time recording and access control because it prints loyalty cards as well as employee or membership cards. 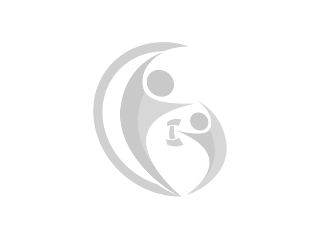 For example, ID cards are personalized with names and personal data with the help of an id card printer. With your own plastic card printer you can print your cards quickly and easily, are not dependent on external service providers and save time when printing the cards. An id card printer is worthwhile in any case! On fitnessmarkt.com you will find everything about your gym. For example, you want to print plastic cards for your employees and therefore buy a new or used card printer? You will certainly find one on fitnessmarkt.com! Here traders, manufacturers, gym operators and private individuals offer their products, including new or used card printers. If you find what you are looking for, you can directly contact the seller of the card printer used or new in a very simple and easy way. Of course you can also sell a new or used card printer on fitnessmarkt.com. Our platform is daily visited by the right target groups who may want to buy exactly your new or used card printer. All you have to do is create an ad and you can offer your plastic card printer to a wide range of prospective buyers. … the functions, features and benefits of your card printer used or new. … recent repairs if you sell a used card printer. … a possible delivery. Will you organize it or should the buyer do? … photos of the new or used card printer, so that interested people can get an exact impression of it. To sell your new or used card printer quickly, we recommend a Top Ad! This ad is presented more prominently on fitnessmarkt.com than conventional ads. So it is seen immediately when a user visits our website because it is displayed on the front page. It appears among the first results of the category and the orange frame also highlights it. Good luck with buying and selling new or used card printers on fitnessmarkt.com!